Imagine an automobile coating that changes its structure to adapt to a humid environment or a salt-covered road, better protecting the car from corrosion. Or consider a soldier’s uniform that could alter its camouflage or more effectively protect against poison gas or shrapnel upon contact. A trio of university researchers from the University of Pittsburgh’s Swanson School of Engineering, Harvard School of Engineering and Applied Sciences, and the University of Illinois is proposing to advance 3D printing one step—or rather, one dimension—further. Thanks to an $855,000 grant from the United States Army Research Office, the team hopes to develop 4D materials, which can exhibit behavior that changes over time. The team includes principal investigator Anna C. Balazs, the Robert v. d. Luft Distinguished Professor of Chemical Engineering in Pitt’s Swanson School of Engineering and a researcher in the computational design of chemo-mechanically responsive gels and composites. Co-investigators are Jennifer A. Lewis, the Hansjo?rg Wyss Professor of Biologically Inspired Engineering at the Harvard School of Engineering and Applied Sciences and an expert in 3D printing of functional materials; and Ralph G. Nuzzo, the G. L. Clark Professor of Chemistry and Professor of Materials Science and Engineering at the University of Illinois, a synthetic chemist who has created novel stimuli-responsive materials. The three scientists will integrate their expertise to manipulate materials at nano and micro levels in order to produce, via 3D printing, materials that can modify their structures over time at the macro level. Three-dimensional printing, also known as additive manufacturing, is the process of creating a 3D object based upon a digital model by depositing successive layers of material. 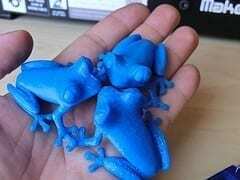 March 27, 2019 - 4D printing to put 3D in the shade The SociableA study published last week suggests that 3D printing is just a precursor and that the real revolution is being offered by 4D printing. April 8, 2019 - 3D Printing Research CrAMmed: Penn State, University of Bristol, UNM and Sandia National Laboratories 3D Printing IndustryIn this edition of CraAMed, we see how researchers are reviewing, and improving 3D printing processes including 4D printing and 3D bioprinting.